Just a stone's throw away from us is the Ortlinghaus Group, a fourth-generation family-run company with more than 550 employees and 120 years of concentrated engineering expertise. Ortlinghaus is a leading specialist in the field of clutches, brakes and plates. Together with marketing and sales, we have created a one-pager for the hero product "Prop.act" from Ortlinghaus marine technology on the basis of a compact workshop. 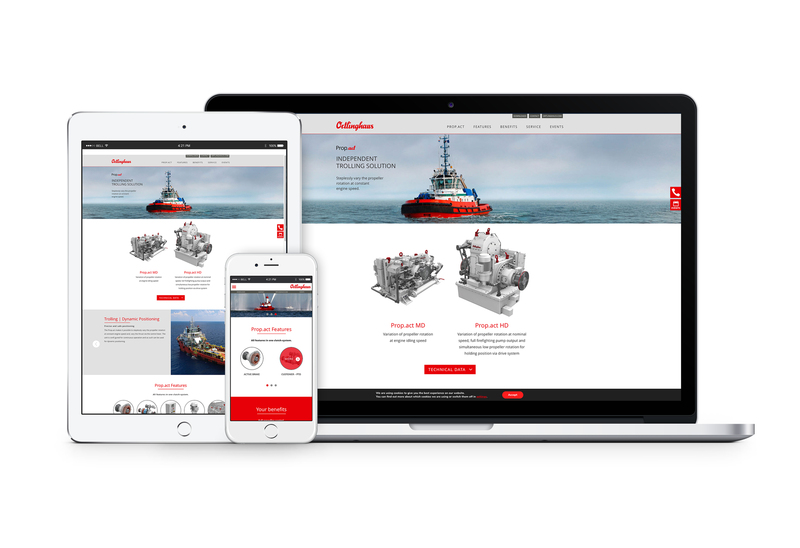 Since its launch at SMM 2018, the presentation has provided more visibility. The result is a digital home for "Prop.act" with target group-relevant product features, benefits and services. From now on, a slider will inform visitors about current trade fair events.